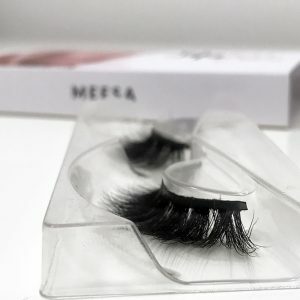 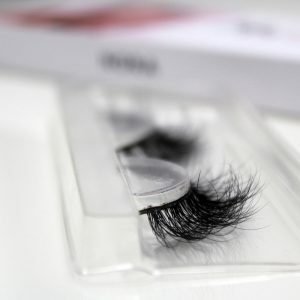 Carefully remove the eyelashes from the packing box. 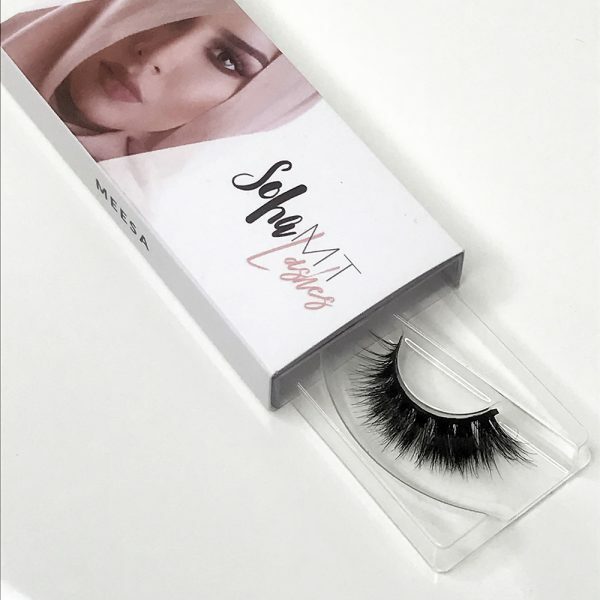 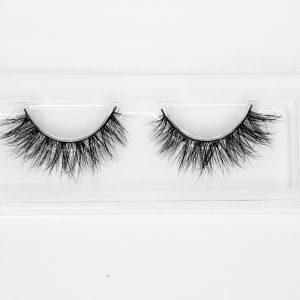 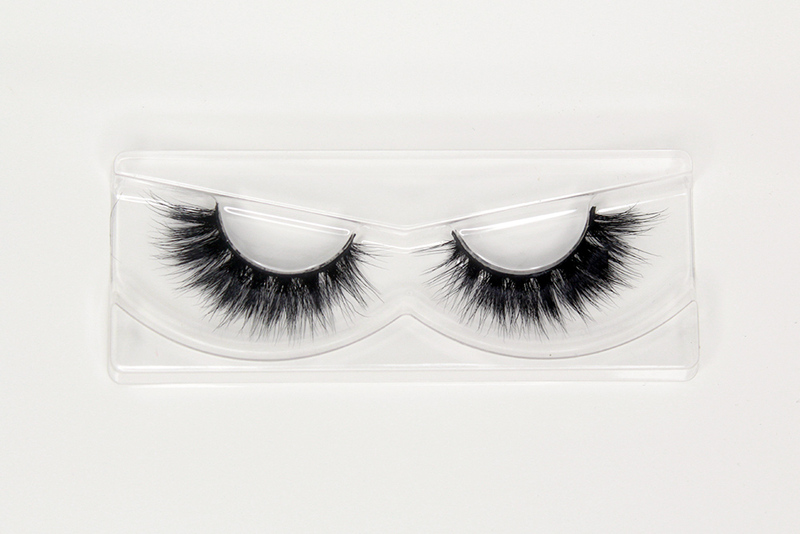 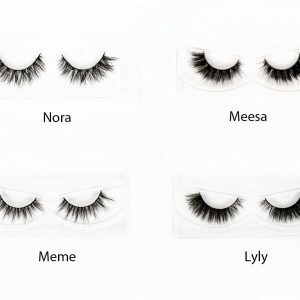 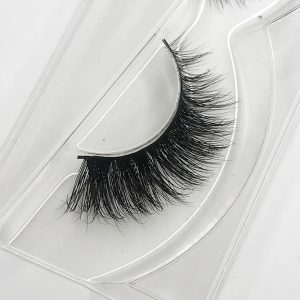 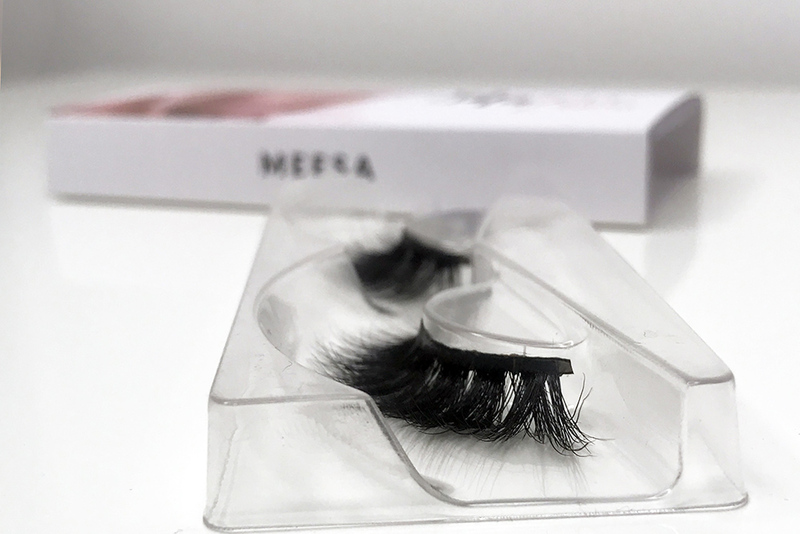 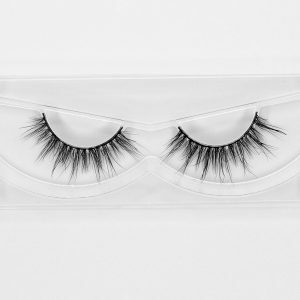 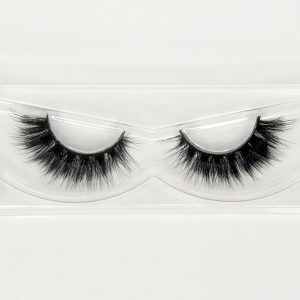 Compare false eyelashes with your eye lines and trim it to be suitable length and width. 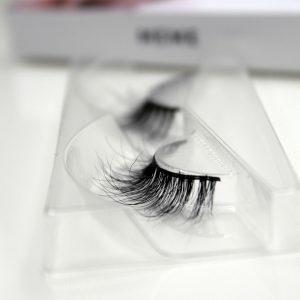 If necessary apply the glue along the false eyelash root with cotton bud. 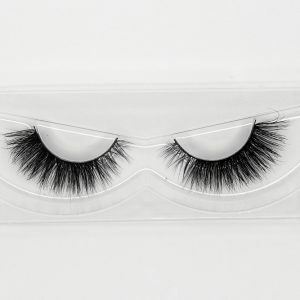 Hold the eyelashes on the root of your own lashes and add a little bit of pressure on it.